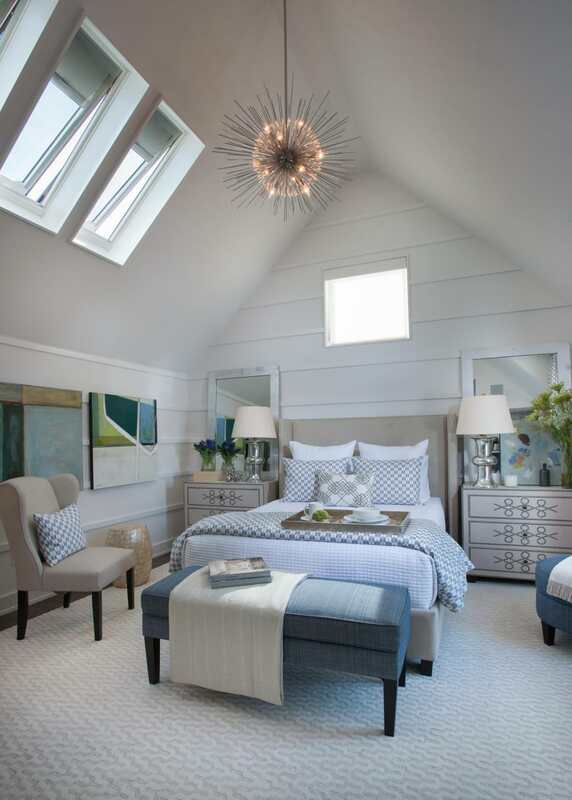 Nobody spends a lot of time looking overhead, hence ceilings are oft neglected spaces when it comes to interior design and the bedroom is no exception. 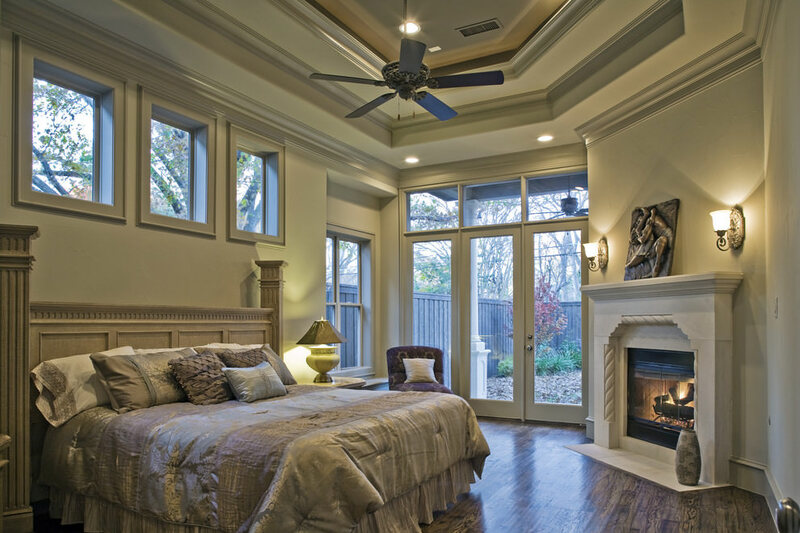 However, since your bedroom is your haven of rest and relaxation, a well designed ceiling can add a lot to the aesthetics of the room. 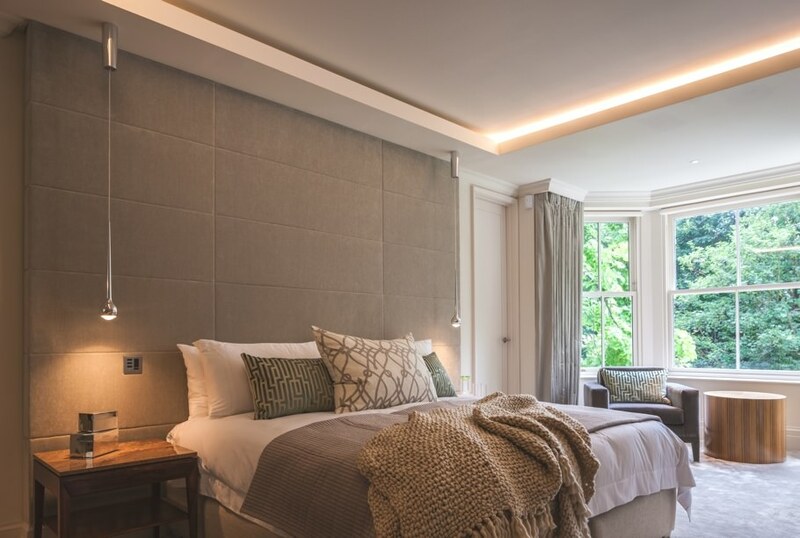 Ceilings are associated with lighting and a ceiling design, which incorporates a combined system of diffused and focussed illumination can enhance the romantic appeal of the bedroom. 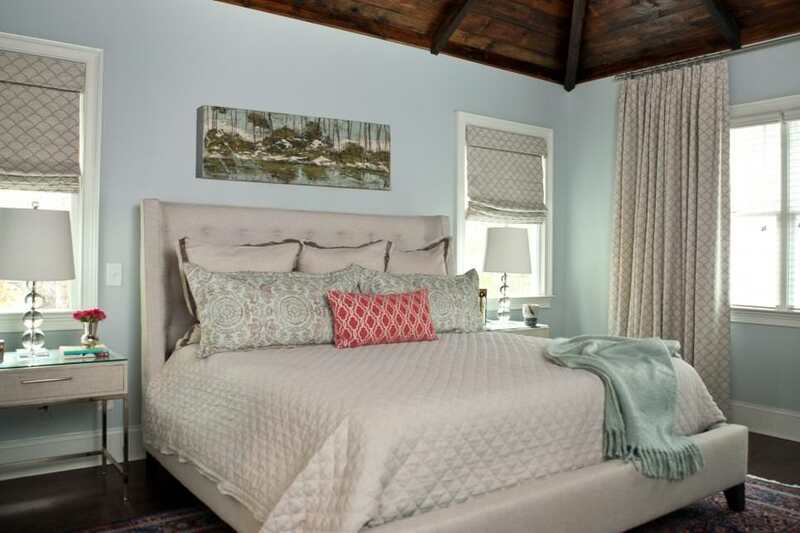 Based on the design category, ceilings can range from rustic wooden beams, traditional masonry with perhaps a raised-edge border and modern glass ceilings with concealed lighting. 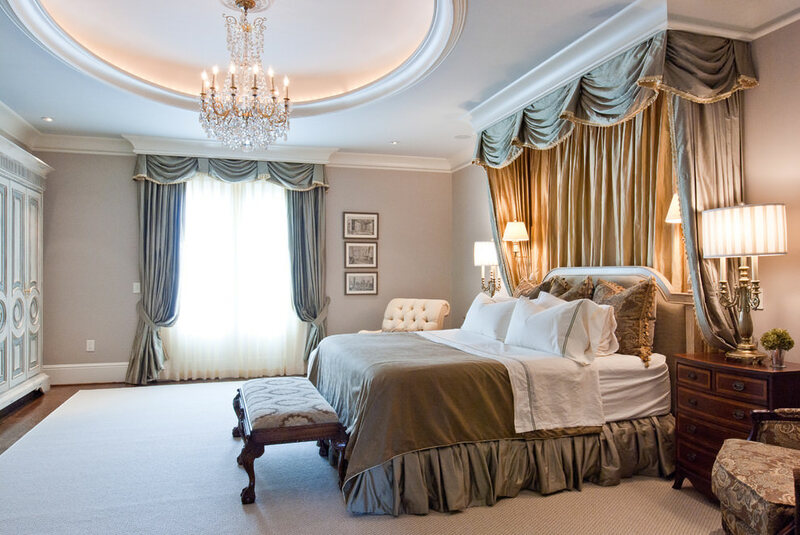 Ultra-luxury bedrooms can have elaborate contours with stylish chandeliers and other light fixtures. 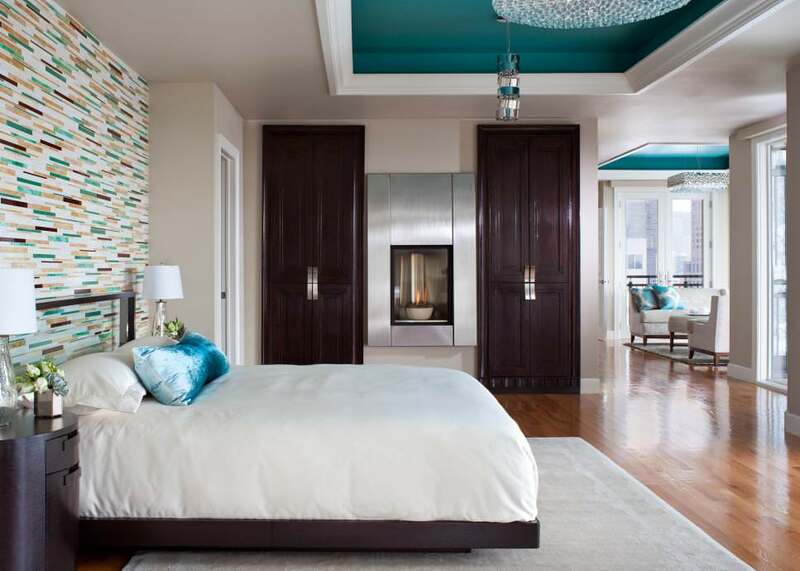 Most bedrooms ceilings designs have particular accents for the part of the ceiling directly above the bed, highlighting the bed space from floor to ceiling. 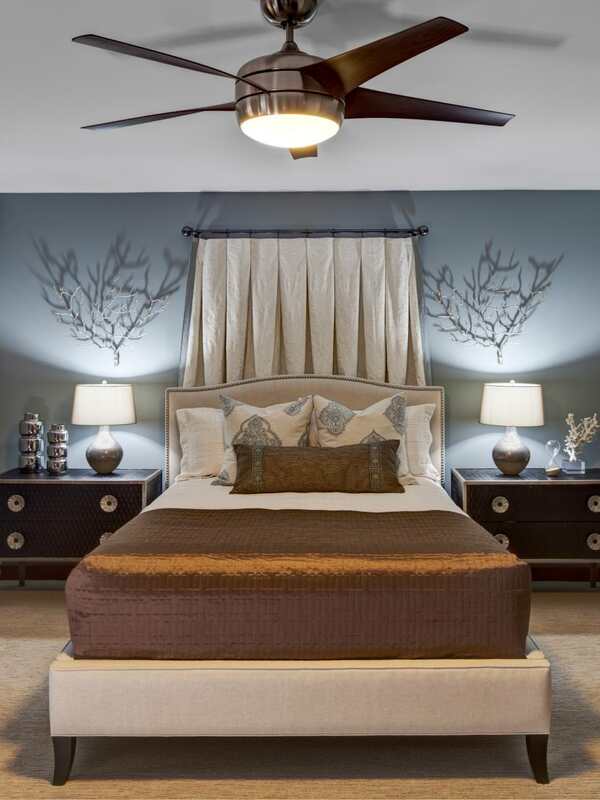 The contours and accents are achieved by multi-level masonry or carpentry. 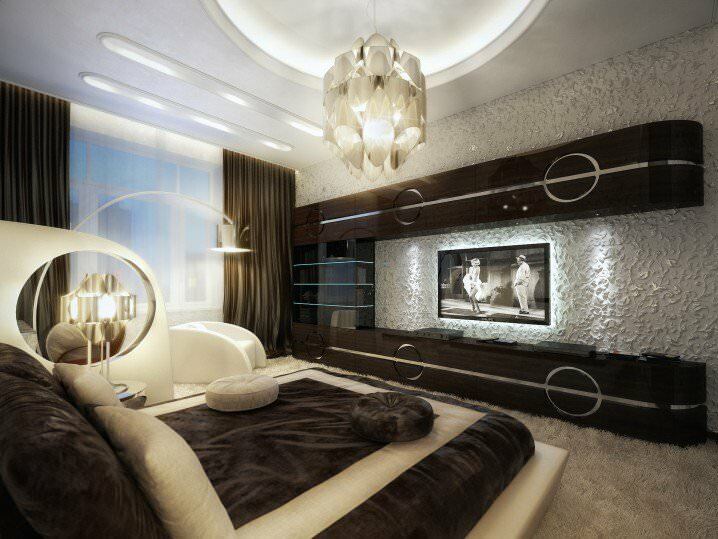 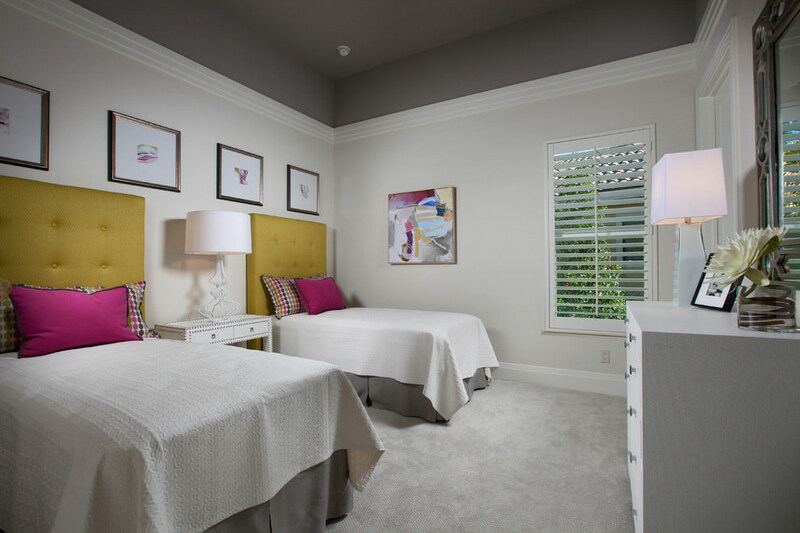 Some bedrooms have false ceilings with in-built lighting designed to match the style of the bed. 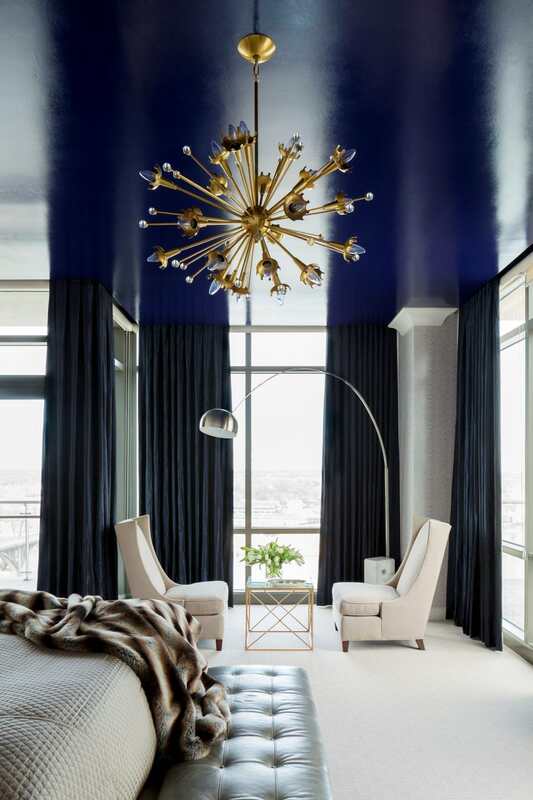 Some ceilings have a raised hollow with lighting fixtures along its entire periphery. 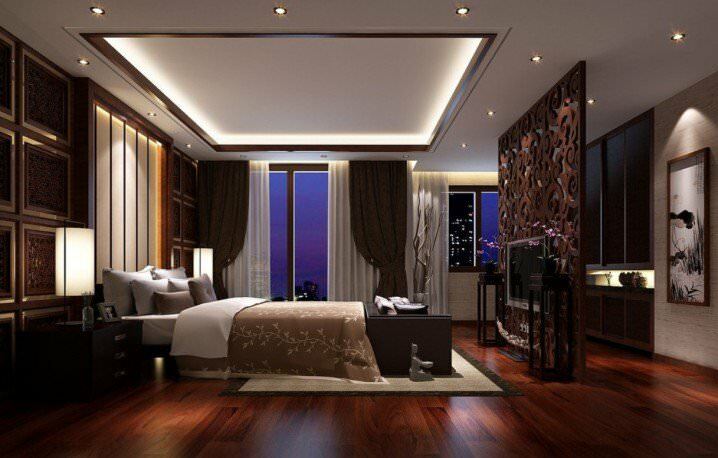 Imagine going to sleep looking at the moon and the stars above through a glass window directly above the bed. 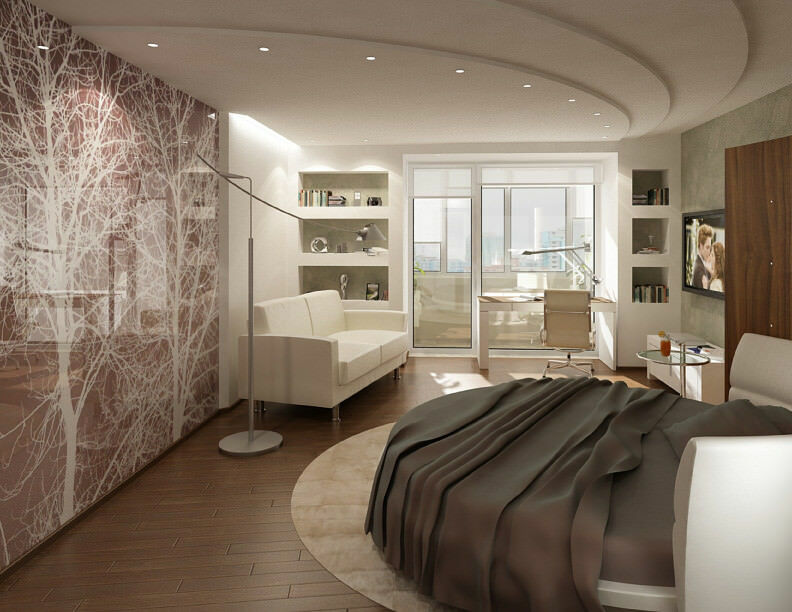 Or visualise yourself going to sleep while following the antics of your fishes in the bed-sized aquarium fitted directly above the bed. 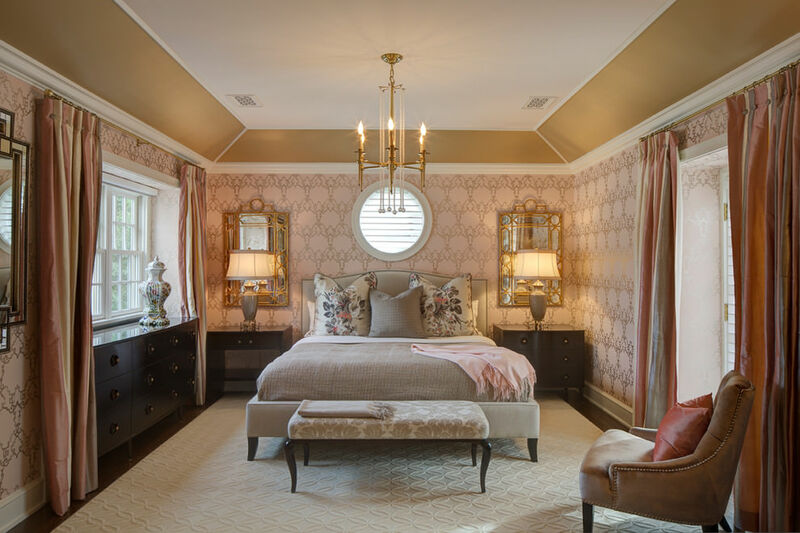 Designing a ceiling is actually less complicated than the rest of the interiors, provided you have the commitment and the budget for it.